A powerful and shocking novel inspired by the author's time at the infamous Parramatta Girls' Home. The graffiti on the holding room wall says it all: 'Gunyah is hell on earth'. And Ellen's about to find out why. Ellen was never the daughter her mother wanted. Patent leather shoes and frilly dresses just weren't her thing and, at age fourteen, she's ready to leave school and find her own way. No one is going to stop her from going where she wants, doing what she wants, and hanging out with Robbie. Or so she thinks. But when the police turn up, Ellen is deemed to be in 'moral danger' and is sentenced to the Gunyah Training School for Girls. Suddenly, she's no longer Ellen, she's Girl 43, and she has to follow the rules, work hard and - most importantly - stay quiet. When it's discovered that she's pregnant, there's no respite from the staff. Told she isn't capable of bringing up a child, they twist the truth to make her cooperate. But however hard they try, they can't destroy the connection between a mother and her child . . . or can they? Drawn from experiences in Parramatta Girls' Home in the seventies, Girl 43 is a story that could have come straight from today's headlines about the shocking treatment of innocent children and teens by people in the very institutions that were supposed to protect them. Sad to think these institutions treated unmarried mothers like this. 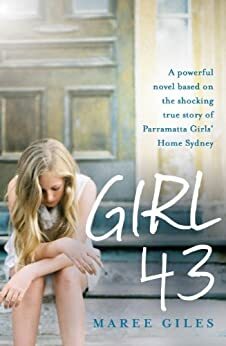 Probably based on a true story with Ellan (Girl 43) Who tells her story of the treatment in the Old Parramatta home for girls. Light read! Very well written story,very sad,very true.Great read, couldn't put it down.